Who doesn't love it when a spur of the moment decision works out better than if you had planned in advance. On an afternoon when I needed some distraction from life, my daughter and I did something we had talked about doing for about two years--that is, to visit San Diego's Japanese Friendship Garden in Balboa Park, together. She is obsessed with all things Japanese and I am obsessed with gardens. And we could have green tea and eat Japanese noodles at the tea house cafe on site. It would be the perfect mother-daughter date. But something always seemed to interfere--mostly school and work schedules, and--well-- just life, so we never actually made a plan to do it. 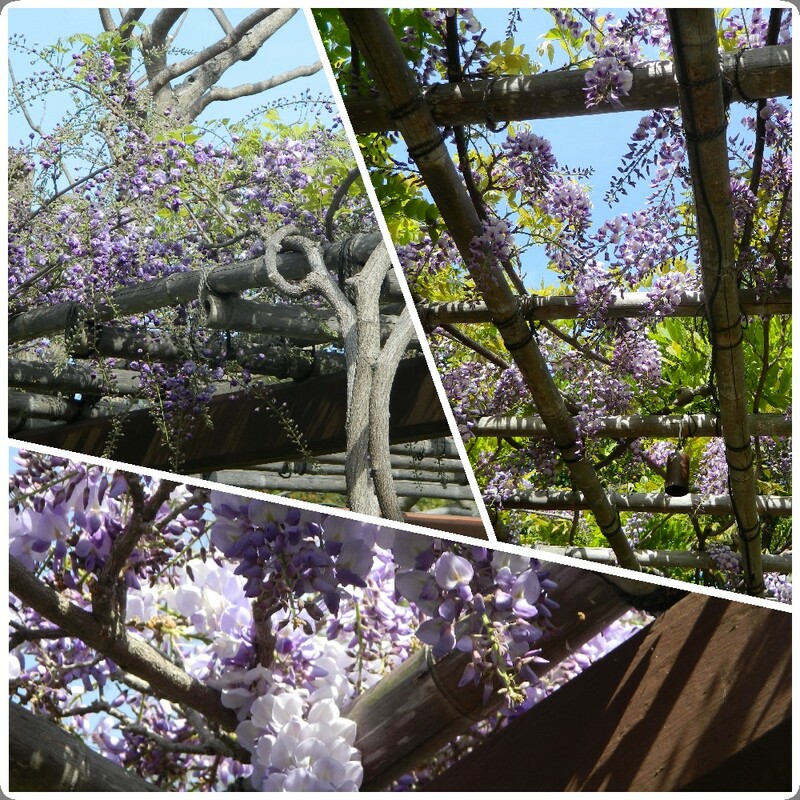 I had visited the garden, but not with my daughter. But yesterday, out of the blue, we realized we would be in the vicinity of Balboa Park in mid afternoon with some time on our hands. We would have one hour to walk the garden and, of course, the weather was gorgeous. Should we go? Yes! Spring can be a particularly beautiful season in a Japanese garden because the plants frequently used are spring bloomers only. And this one is no exception. Lots of cherry trees were crazy in bloom. 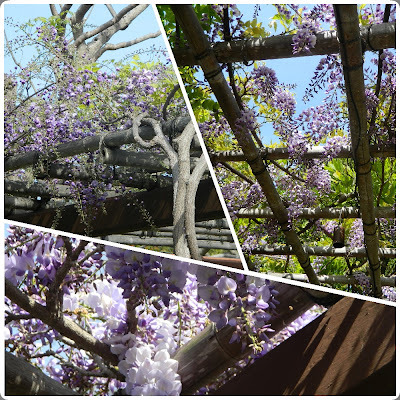 And the lovely scent of wisteria wafted in the air from blooms just opening on the pergola above us at the pond. Not only was there a rush of scent and spring color, but also a rush of people in the park. It was the third Tuesday of the month, which means free admission to the garden and museums in the park for San Diego county residents, students and military. Score! The pond was bustling with kids and koi. It seemed everyone had a camera and was snapping up portraits of plants and people in the garden. and the landscaping in the canyon looks beautiful. I can't wait to come back and walk through it! The Japanese Friendship Garden happened to be a perfect distraction on one of those days when life proves it is not always friendly. And it was the perfect time to share it with my daughter. Looks like a very lovely day and how wonderfully spring like it is there already! Hi Jeannine, looks like you spent some wonderful time with your daughter in the Japanese Friendship Garden in Balboa Park. I have been there once, but it is a long time ago and seeing your lovely photos it seems like now is a really good time to visit. Oh, and I hope that life is good again to you! Gorgeous with those cherry blossoms and the wisteria...and that pond is amazing. What a special way to spend an afternoon with your daughter! I love japanese gardens. Perfect timing for you, with the gorgeous weather and soft spring blooms.